I hope his collection is recovered. That is just awful. Yes, on a more serious note, did you have anything else in this storage unit, if so, was it just your comic books that were targeted? Sounds like you might have some suspicions of the culprit. Who in their right mind keeps 1.4m in a storage locker!!? Who knew to target that specific locker? I think it's an insurance job. There’s no way this is an insurance job. The collector was passionate about the books. You don’t collect Batman books for that many years and that quality just to commit a fraud. He could have easily sold them and made likely more than 1.4 mil. And people do keep valuables in storage lockers and with multiple locks and cameras around you wouldn’t expect this. Maybe the owner travels and owning a home would be a waste so they rent a storage space? 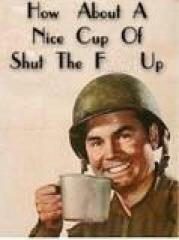 The guys got enough stress and sorrow now I don’t think we as a community should be saying things to make him (her?) feel worse. I would be devastated too. Fair points. I just can't believe someone would leave books of this calibre in a storage locker! A banks vault yeah maybe, behind a flimsy steel door and a padlock, no way. I'd be interested to know how long the owner rented that locker and whether or not his was the only locker broken into that day. Not looking to make him feel worse, I doubt that's even possible if this is for real, just speaking my mind which is very suspicious. That guy in Amazing Stories kept his nice comics in the back of his car! I know the human nature thing is to think it won't happen to you but why wouldn't he move the books the day after the big theft a bit ago. Maybe he thought he had no better options but after one big collection got stolen from a locker you would think everyone else would rethink their own storage strategy. Curious what's going to happen to the books. Does the thief try to sell them slabbed, or crack them out? A lot of people will be keeping their eyes out for these books. 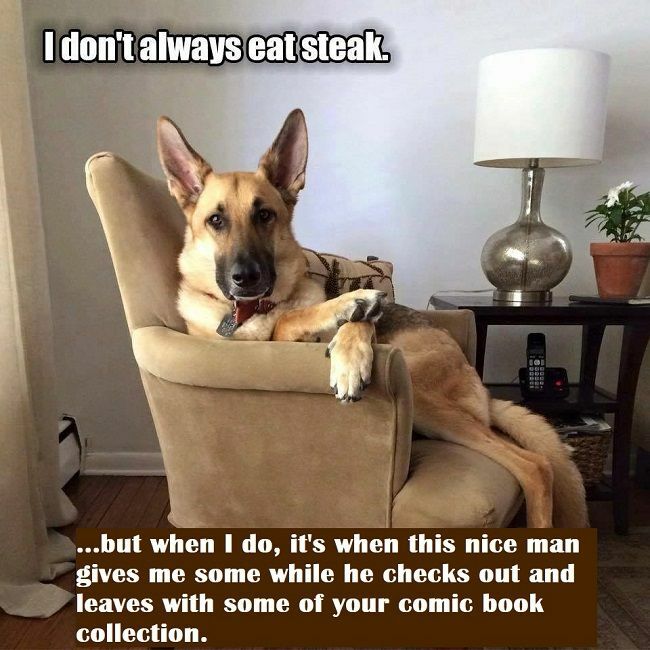 Comic collectors are ferociously tenacious about helping out those who've been wronged. what if the book is worth 90K? Bank Safe Deposit Box (and I commend you for using proper terminology)? 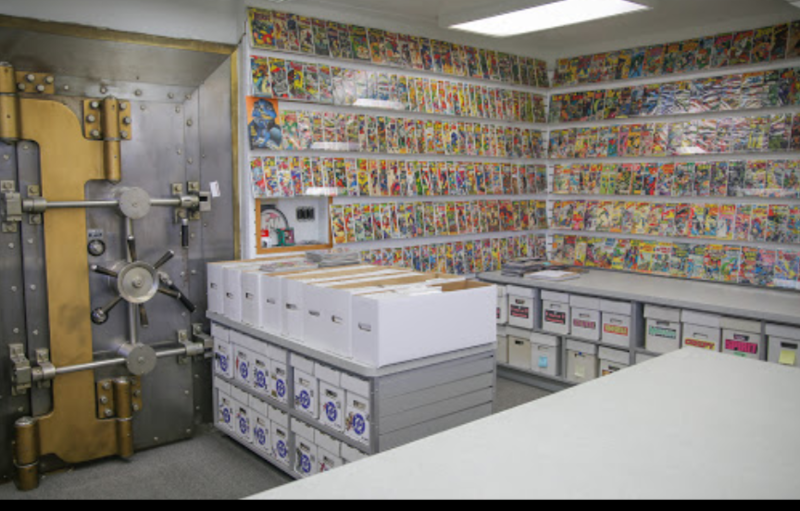 I'm being a combination smarta s s /dumb a s s here but this question is for reals: What is the price point in value for comic to go to bank vault? 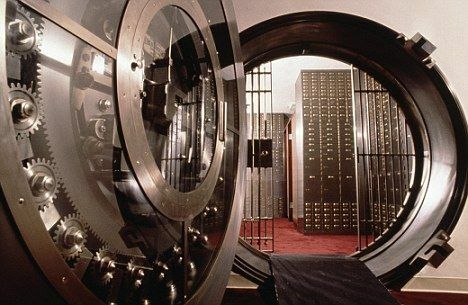 Banks won't insure them in their bank vaults. Still gotta buy insurance if you go the Bank Safe Deposit Box route. cool. What he do with building once he bought it? He's an accountant that does tax preparation and sells insurance. He moved his business into it. The building had been vacant for almost 20 years when he bought it. I'm not sure if he has ever put the bank vault to use. The vault was as big as a small bedroom with all kinds of safe deposit boxes. Even more amazing is he managed to keep them from being torched by a lightsaber, an an entire Empire of bad guys that were after him. Now that's what a serious Batman/Detective run needs protection wise! Remember this episode of the Twilight Zone when the Penguin...err, Burgess Meredeth would lock himself in the bank vault for some quiet and solitude to read his books, just to later find his timely choice has left himself the lone survivor of a nuclear holocaust?